Nowadays if you wear the right kind of hat, you’re immediately making a statement, and it’s going to get you noticed. Some of the most iconic men like Bogart, Depp, and Sinatra are best known with lids on their heads. The way you wear it is as important as the type of hat you wear. The key in styling a hat is making it your own. You don’t walk around with shoes two sizes too big, right? The same principal applies to hats. Start by wrapping a tape measure around your dome and getting familiar with the size of it. Once you have the answer, you can finally look for the right hat to fit it. Just like any category in your closet, there are a lot of options when it comes to hats: different shapes, materials, types of ribbon, size of brims and depth of crease. The fedora is the most popular style right now. It’s defined by its brim, a pinch at the front, and the crease on the center of the crown. This is the all-purpose hat. 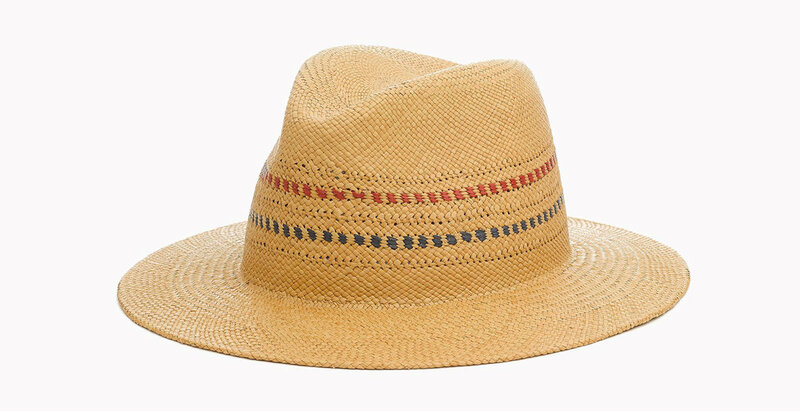 It comes in both felt and straw and it’s a great hat to sport year round. You can wear it cocked to the side with a suit a la Frank Sinatra or with a T-shirt and jeans for an off-the-clock look perfectly suited for festival season. I’ve gathered a few options for my fellow online shoppers, but before you fill your shopping cart, my advice is to stop by a hat store (Goorin Bros is my personal favorite) and try on as many different types of hats as possible before deciding on the right one for you. When inside, hat on or off? The old saying that a gentleman must remove his hat when indoor fails to recognize that in today’s world, a hat is treated like a watch or any other accessory. That sheer fact frees you to act at your own will. Keep it on or take it off…up to you. Grey goes with everything, navy is elegant, brown is rich. Like anything else in your wardrobe, your hats need proper care. 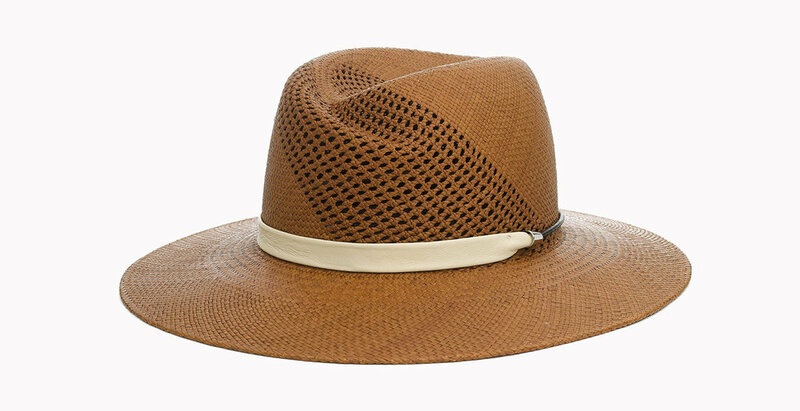 To avoid the straw cracking or the felt wearing out, always handle your hats by the brim, not by the crown. For day-to-day maintenance, use a lint roller to remove surface particles and for a deeper clean, hats need to be submerged in a special compound, scrubbed, dried, blocked, and conditioned, so don’t think about taking them to a dry cleaner. Ideally you want a recommendation from the hat manufacturer for a place with the full-factory method set up. Click here to download Goorin Bros’ ultimate hat care manifesto. 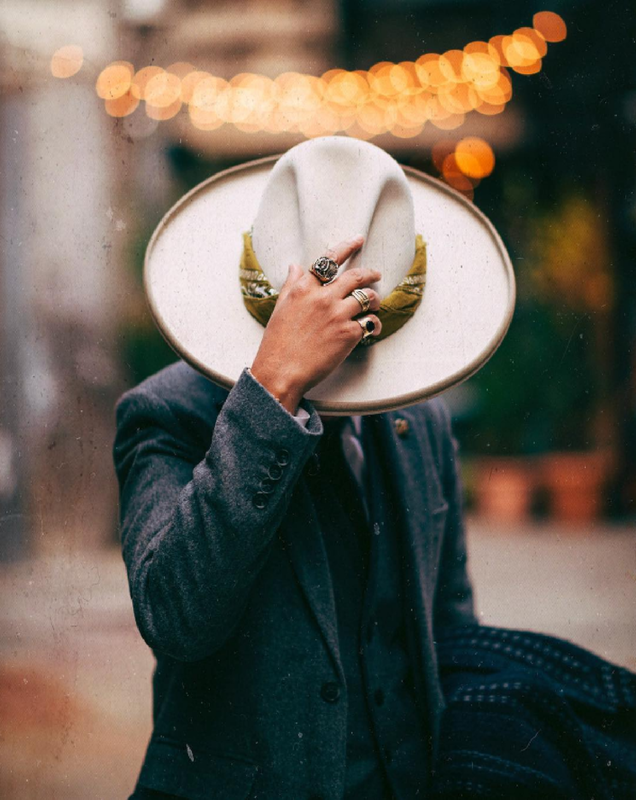 I hope this post inspires you to use your dome (and style it too), and if you have any questions about hats or any looks on the blog, remember that you can always ask me anything in the comments below. Have fun and don’t forget to subscribe to my newsletter to get Reyal Fashion sent straight to your inbox.